Our budget-friendly bed and breakfast accommodation, close to the centre of Exeter, offers you a perfect base to get out and about and discover the delights of Exeter’s restaurant and dining scene. Puerto Lounge sits on the edge of the River Exeter and boasts an informal café/bar, ‘all are welcome’, community feel. An eclectic scattering of colours and furniture lends itself perfectly to the laid back but lively vibe. Take a seat on the terrace and watch the world go by. The all-day menu offers huge variety, no matter what time of day. From brunch to hearty dinners, there is no shortage of variety. 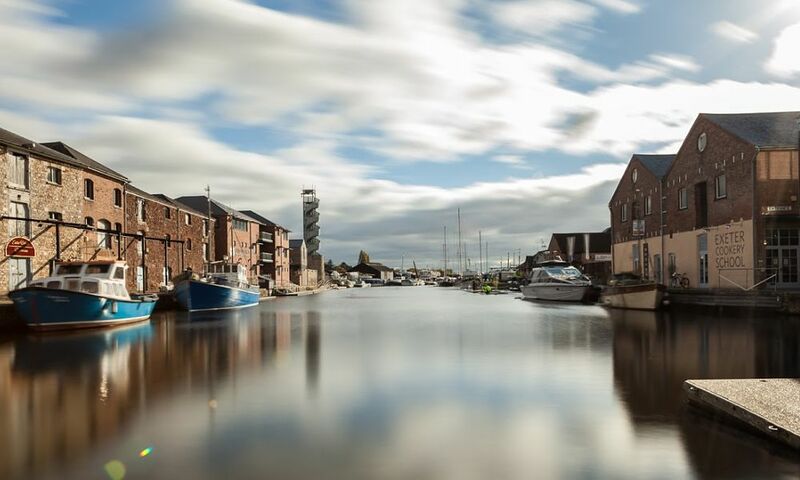 Take a former bonded warehouse, give it a contemporary makeover, fill it with craft beer, delicious smokehouse-style food and copious amounts of cheer and you’ve got yourself a winning eating and drinking establishment on Exeter quay. The mouth-watering menu tempts with a hearty range of wood fired grills, steaks and deli-style sandwiches, all served from midday, every day. Situated in a former 19th century warehouse, this popular well-established pub/restaurant offers the perfect location for an informal riverside feed. Perched right on the edge of Exeter quay, the beautiful terraced restaurant serves a selection of lunch and dinner options. You’ll be hard-pressed to find a local who doesn’t rave about the infamous Waterfront dustbin lid pizzas – definitely not for the faint-hearted. Cosy, quirky, quaint, unique – just some of the fitting words used to describe this wonderful hidden gem of a gastro-pub located just above Exeter quay. The small inventive menu offers just enough variety to tease the palette. Whether you opt for a hearty rib-eye or the Portuguese Fish and Chorizo Stew, you’re guaranteed a true taste sensation. The latest addition to the quayside, this stunning fish and chip restaurant, owned by celebrity Mitch Tonks, is already popular amongst visitors and locals alike. With classic seafood dishes and daily specials, this family-friendly establishment offers something for everyone. Choose our pocket-friendly bed and breakfast accommodation in the heart of Exeter and not only will your budget allow you to eat out to your stomach’s content but you’ll be well placed to roll back to your room.